The smaller HM5 is typically used in early Bonanza, Travel Air and Baron nose gear rod ends at the nose gear well end of the rod and at the "V"-Brace" arm to push/pull on the nose gear mechanism (#48 in the part catalog extract below). 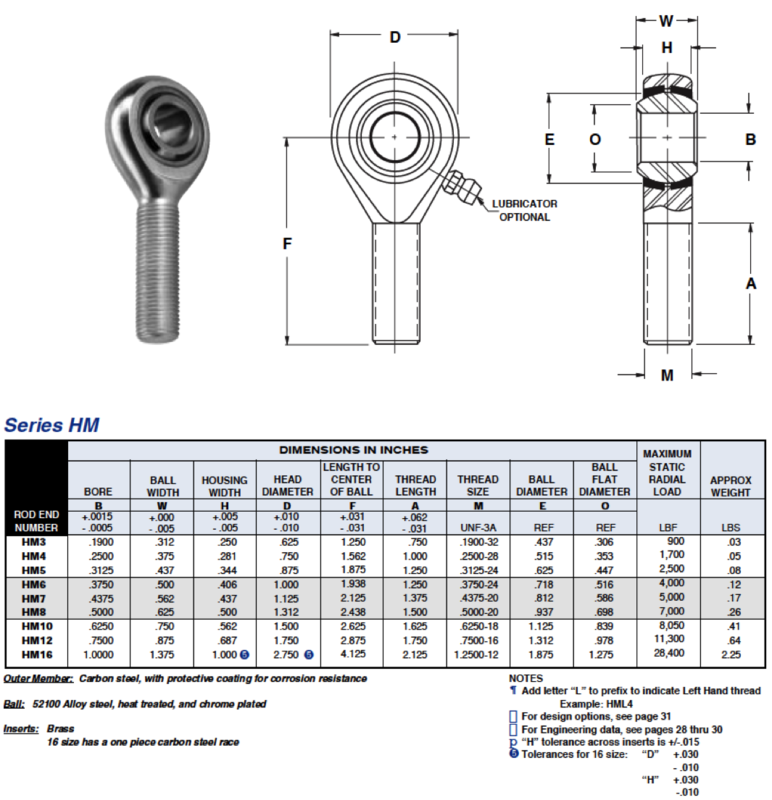 The HM5 has a thread pitch of 5/16"-24 and a rod end bore of 5/16". The HM5 has no grease fitting in the shaft to lower the load rating of the rod end. A little CorrosionX or ACF50 each year at annual should do just fine like the original non-grease fitting rod ends did. Two would be required in the nose gear mechanism. 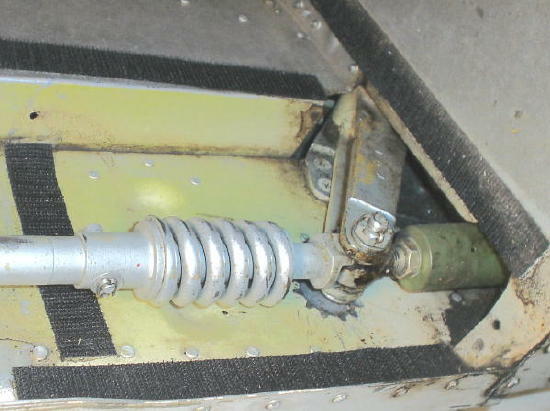 The HML6 is typically used on the nose gear rod that connects to the landing gear transmission arm. The HML6 has no grease fitting in the shaft to lower the load rating of the rod end. The HML6 has a thread pitch of 3/8"-24 and a rod end bore of 3/8". Measuring the threaded rod through the belly inspection panel is a GREAT way to determine if you have the 3/8" shaft HML6 or the larger (7/16") HMXL6. A little Corrosion X or ACF50 each year at annual should do just fine like the original non-grease fitting rod ends did. This is a LEFT HANDED REVERSE THREAD rod end which makes the rod act like a turnbuckle to adjust nose gear tension values. The HMXL6 is typically used on later model Bonanzas and Barons. 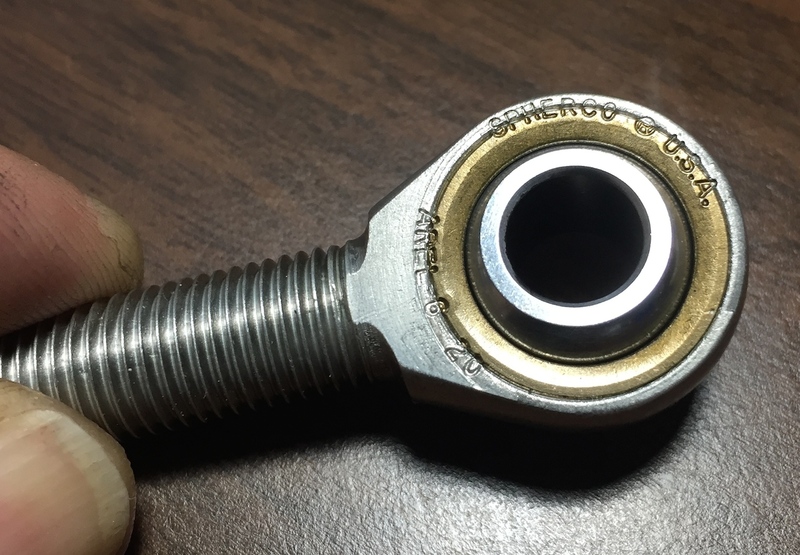 The HMXL6 is a LEFT HAND REVERSE THREAD large thread pitch of 7/16"-20 with a 3/8" bore that connects the nose gear rod to the landing gear transmission arm. 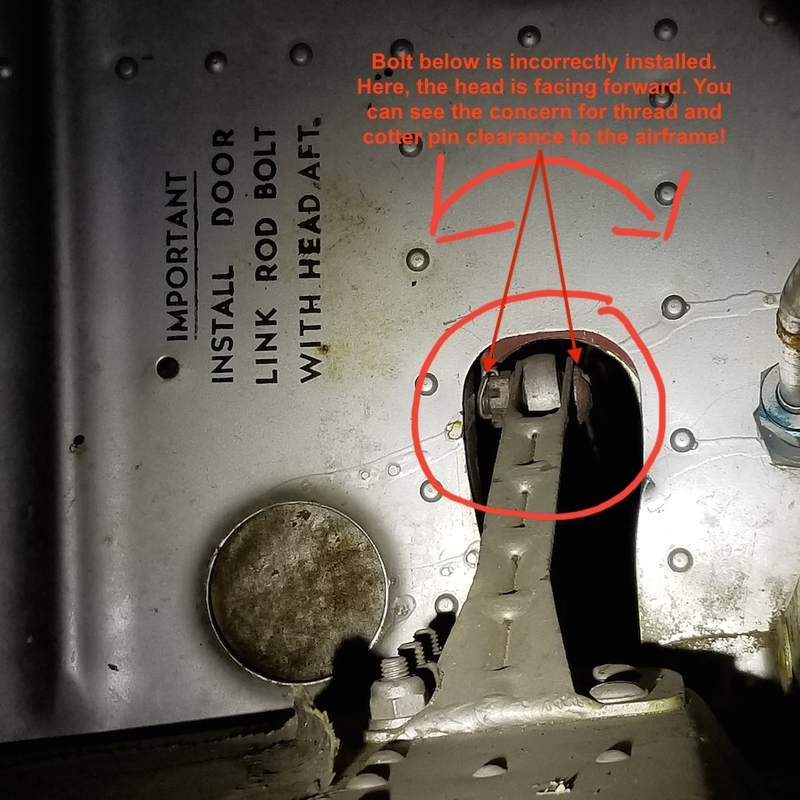 If you find you have HMX5 rod ends in your forward nose gear rod, you MIGHT have the HMXL6 rod end at the back transmission arm connection. The HMXL6 has a thread pitch of 7/16"-20 and a rod end bore of 7/16". Measuring the threaded rod through the belly inspection panel is a GREAT way to determine if you have the 7/16" shaft HMXL6 or the smaller (3/8") HML6. The HMXL6 has no grease fitting in the shaft to lower the load rating of the rod end. A little Corrosion X or ACF50 each year at annual should do just fine like the original non-grease fitting rod ends did. This left hand reverse thread rod end allows the push rod to act like a turnbuckle to adjust nose gear tension values. SPECIAL NOTE: As of March 2018, I was advised by the HEIM/RBC factory that the HMXL6 is obsolete and is no longer available! 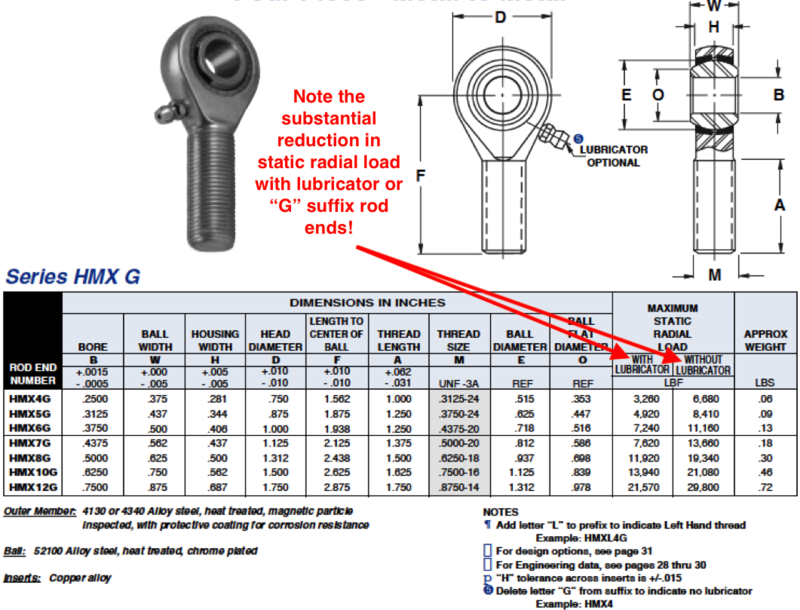 If your gear requires this particularly beefy rod end you will see in this HEIM Interchange Catalog that the equivalent to HMXL6 is the Spherco AREL-6-20. See the Spherco/Seal Master Rod End Catalog HERE for specs and details on the AREL-6-20. If you would like to buy this AREL-6-20 rod end, scroll below and click on the Buy It Now button. The HM6 is typically used on the Main Landing Gear "push-pull" rods on the outboard ends (total of 2 per aircraft) as well as the elevator push/pull rods (total of 4 per aircraft) on the Baron aircraft. The HM6 has no grease fitting in the shaft to lower the load rating of the rod end. The HM6 has a thread pitch of 3/8"-24 and a rod end bore of 3/8". A little CorrosionX or ACF50 each year at annual should do just fine like the original non-grease fitting rod ends did. At the outboard inner gear door connection the bolt head faces AFT! 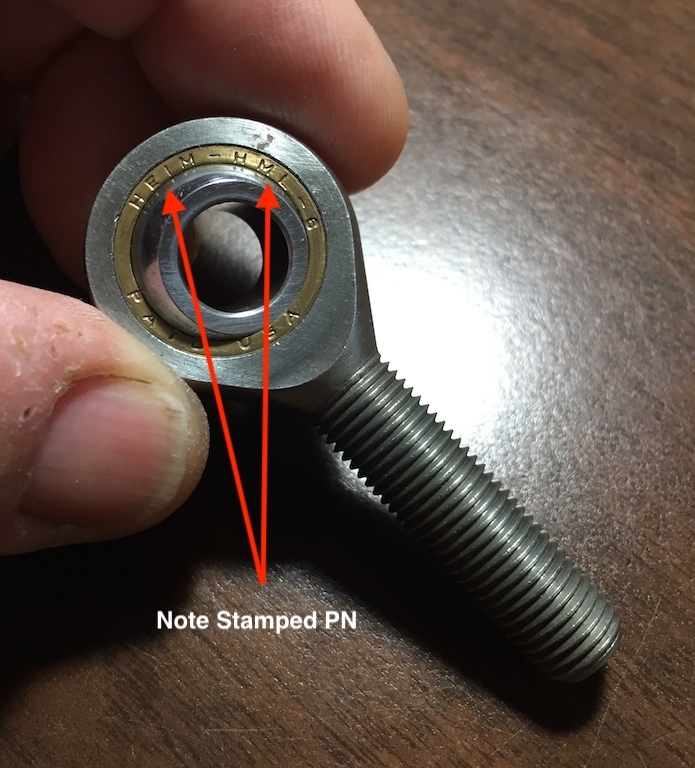 At the inboard rod connection there are two little bushings that can easily be lost (creating a mega PITA search or high factory cost to replace). 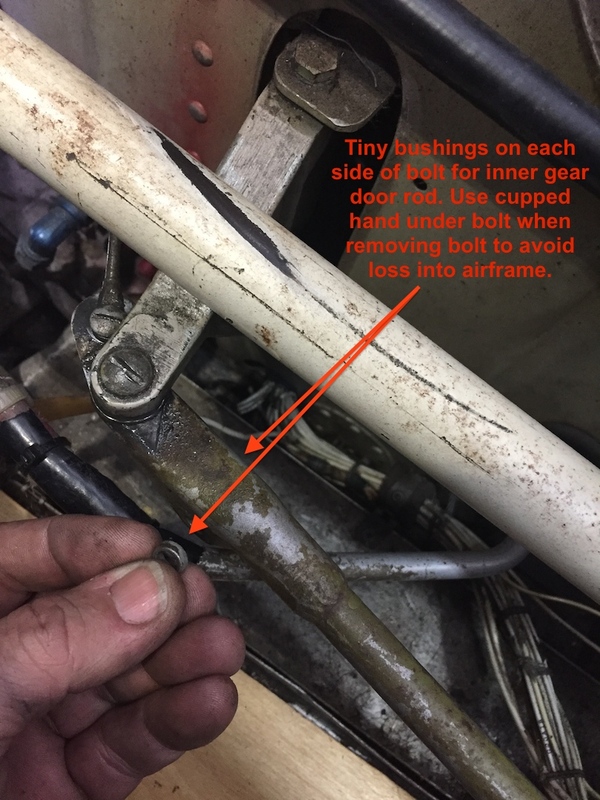 Cupping ones hand under the bolt during disassembly to catch the bushings can avoid this potential headache. Above are inner gear door rod ends all cleaned up and fitted with four new HEIM HM4 rod ends. These rod ends take a lot of pull tension since they are hard rod connected to the gear transmission. Laying the rods out on a large piece of paper and marking the center point of each rod end is a great way of getting the length close to the removed length. Why leave 50 year old rod ends in that area of gear? The HEIM HML4 is a LEFT HAND THREAD and is typically found on the ailerons . The HML4 has a thread pitch of 1/4"-28 and a rod end bore of 1/4". 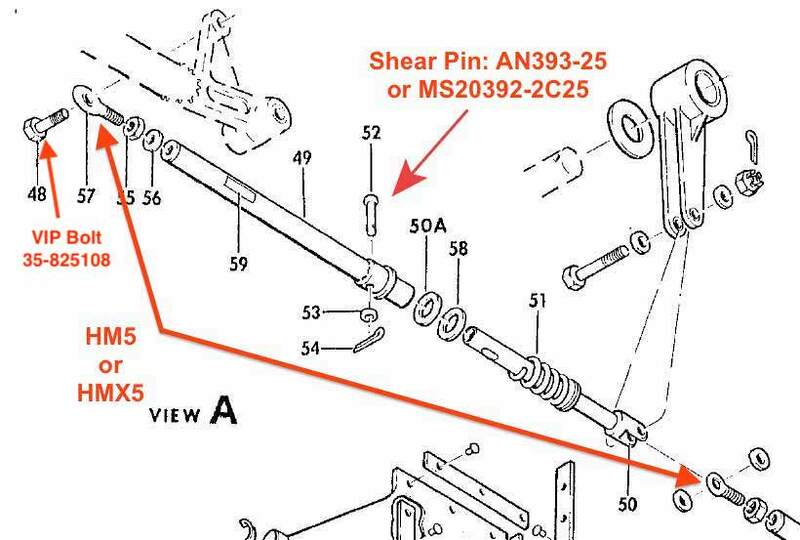 Check your IPC to confirm that this rod end is specified for your particular SN. CONFIRM YOU ARE ORDERING THE PROPER ROD END! YOUR SELECTED PARTS FOR YOUR CERTIFIED AIRCRAFT. * If you do not have an IPC for your SN, just click HERE and I will help you find one. HMXL6 Rod Ends - No Longer Available! Thanks for being a CSOBeech visitor and supporting CSOBeech with your HEIM purchases.